Pyongyang (dpo) – Hurricane Irma wreaked havoc this week, causing devastation across the US state of Florida. Meanwhile, North Korean state television is celebrating the catastrophe as “our glorious military’s successful hurricane attack on the American aggressor”. 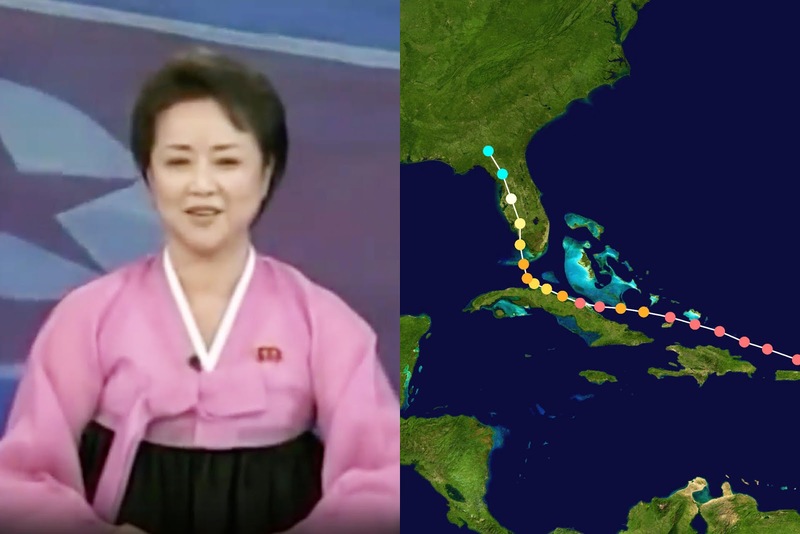 A newsreader on the country’s most popular news programme (watched by 100% of the population) announced that Kim Jong-un personally ordered the devastation of Florida and sent out the deadly wind towards the USA himself. The North Korean government also threatened to inflict further storms on the USA “should the American aggressor not surrender immediately”. A parade celebrating this victory in battle is scheduled to begin at precisely 6:15 pm local time today and last for 24 days.